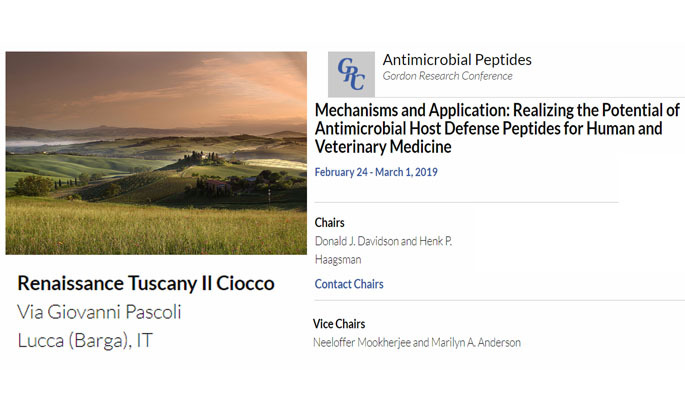 As co-Chair of the next Gordon Conference on Antimicrobial Peptides, Donald invites you to apply to attend. in Renaissance Tuscany Il Ciocco, Italy. Note that this conference is earlier in the year than usual, and short talks from the submitted abstracts will be chosen soon, so please apply now, and encourage your group members and colleagues to attend.